Today is graduation for our local school district. Four years of growing, learning, developing, planning and hard work will be recognized tonight at the formal ceremony. 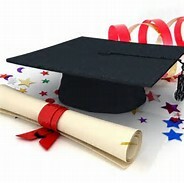 Thousands of other young adults across the nation will be recognized for their accomplishments over the next few weeks. Many of these young adults will move on to college, trade school, military service, family business or other jobs. Many will buy their first home, finance a new car, travel around the world and begin to live on their own, void of the hands-on supervision that they are so accustomed to. Many will begin to accumulate debt, fall into credit card crisis, become overwhelmed with financial stress and quickly become financially unhealthy. But a few will recognize the value of adopting a plan and will take the steps necessary to prepare for the long road ahead. For those of you who wish to adopt a plan, I have some great advice. All it takes is commitment and the will to make it happen. There will be many excuses for not having a plan, but I promise you that with compound interest as your friend, even $10 a week will grow to a sizable nest egg. Anyone can afford $10 a week. Your weekly Starbucks purchase alone is costing you $30. So, if you invested $10 a week from the time you graduate high school and let it grow in a mutual fund at 8% (very conservative), by the time you reach retirement age (69.5), your investment will have grown to $344,683. The average retirement savings for a 69 year old right now is only $45,000. You can make a difference by starting now. Avoid the debt trap, let compound interest be your friend and stay diligent with your plan. Here’s to a successful future. Congratulations Seniors! This is such a critical time. Some of the actions taken after graduation help shape the rest of our life. If done correctly these steps can lead to a life of financial freedom rather then a life of financial struggle.